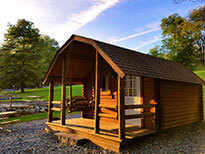 Elizabethtown/Hershey KOA is a favorite getaway. 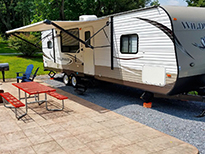 The Campground is located in the middle of all the wonderful things to do in Eastern Pennsylvania, just 20 minutes from Hershey “the Chocolate Town” and the thrills of HersheyPark with their multiple rollercoasters, rides and shows. 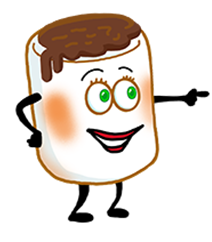 Hershey KOA is only a short drive to the Amish Country, the Pennsylvania Farm Show complex, and the factory tours of York County & Historic Gettysburg. 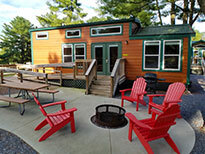 Elizabethtown/Hershey KOA is the perfect home base for all your adventures! Wander around on this 50 acre tree filled campground offering a stocked catch n’ release fishing pond, Sand volleyball area and plenty of room to toss a frisbee. Got game? Try your luck on our minigolf course or toss a horseshoe. Shoot a little hoops or join in one of our planned summer activity events. Take a dip in our sparkling swimming pool complex or catch a wagon ride around the camp. If your favorite activity is to just sit back and relax, you can do that here, too! 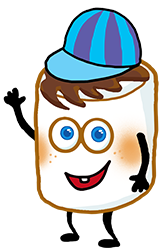 Trailers, Motorhomes, Pop-ups and Big Rigs, we have a campsite waiting for you. 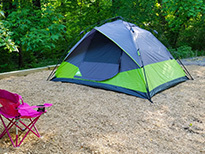 Camping Cabins are a great choice when you want to join in camping with your friends. These units provide a full bath and some have kitchenettes. Perfect for those glampers!